Fate/stay night: Heaven’s Feel II. lost butterfly is directed by Tomonori Sudô and was released on Mar 14th, 2019. 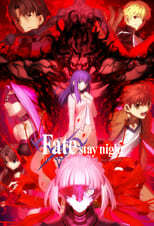 Director Tomonori Sudô's Animation & Action movie Fate/stay night: Heaven’s Feel II. lost butterfly is produced by TYPE-MOON & ufotable & was released 2019-01-12.